Hi there! 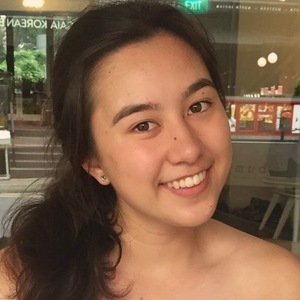 I'm currently a full time student at UNSW who wants to help out around the neighbourhood. I'm a fun-loving, easy-going and kind natured young woman that loves looking after children. I have experience in taking care of children with a variety of interests and I always try my best to help grow these interests and talents. I fully understand the responsibility of nannying and do not take it lightly. As a babysitter my priorities are safety, fun, nurture, wellbeing, patience and love! I have been babysitting for the last 2 years. Most of my experience is dealing with young children from 5 years old and up but I have babysat toddlers from 2 years old. I'm most comfortable babysitting children who are 2 years and up. "The children's first words the next day were 'Chloe is really nice, we like her. She played games with us. It was really fun'. And when I arrived home the house was looking lovely! Thanks Chloe! see you again soon. " "Chloe is a brilliant girl. She’s caring and sweet. My daughter loves her! " "Chloe helped us out at very little notice and she was fantastic. She looked after my two children for the day and nothing was an issue. The kids adored her and didn’t want her to leave. Chloe was confident and pleasant and I’d have no hesitation recommending her. Thank you Chloe - we’ll be in touch! " "Chloe made a connection immediately with the kids. House was tidy when we came back! Would recommend!! " "Chloe was just awesome! The kids loved her, she has such a great attitude and we would love to have her over every time we need help. Thanks Chloe!"